Become a member of the CPA and we'll provide you with the necessary tools to provide your customers with complete peace of mind. We’ve spent more than 25 years helping our members’ businesses grow. One of the ways we do this is by providing Insurance Backed Guarantees (IBGs). 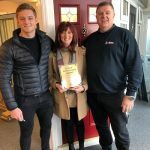 For many years in the construction and fenestration industries, consumers would look for this guarantee when choosing a tradesman to ensure that their money and their home were protected. Guarantee insurance was always ‘best practice’, but from June 2014, all tradespeople MUST provide an Insurance Backed Guarantee with every glazing installation. Without an IBG, a finished project will not be able to be registered under self-assessment schemes. What is an Insurance Backed Guarantee? An Insurance Backed Guarantee (IBG) is valuable protection for tradespeople and their customers. An Insurance Backed Guarantee boosts consumer confidence, as home owners know that they are protected in the unlikely event of your company ceasing to trade. If, due to the liquidation, receivership, administration or winding up of your business due to bankruptcy, state retirement or death of the principal(s), the company no longer exists, faults appearing after they cease to trade may be covered by the Insurance Backed Guarantee. 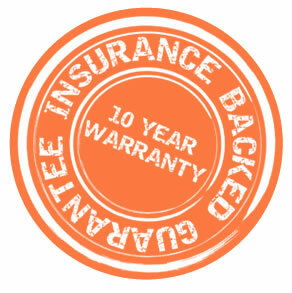 The Insurance Backed Guarantee is available for a period up to 10 years and is backed by a UK authorised insurer. The CPA are leading providers of Insurance Backed Guarantees and warranties for the Construction, Fenestration and Home Improvement industries. We’re recognised as a FENSA approved IBG provider, one of only a select number of IBG companies recommended to provide double glazing insurance for installers and glaziers. We provide tradesmen insurance for the following trades. If you’re not on the list, it’s likely that we can still cover you. Get in contact with the CPA team today to see if we can offer you IBG insurance. The Consumer Protection Association helps installers, builders and contractors by ensuring they have all the information and support they need to forge successful business relationships with their customers, providing insurance and deposit protection schemes for a range of trade industries, including double glazing and fenestration insurance, as well as IBGs for general installers and tradesmen. With more than 21 years’ providing Insurance Backed Guarantees to trade customers, we know financial protection legislation inside out. 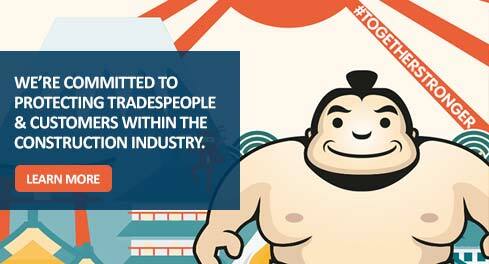 Plus, consumers recognise the value of choosing tradesmen validated and vetted by the CPA. If you’re looking for a fast and simple way to obtain IBGs, contact the CPA today or find out about our FastTrack initiative. The Consumer Protection Association will not provide your customers with a personal recommendation as to whether a deposit protection policy is suitable for their needs. The Consumer Protection Association is an appointed representative of CPA Consumer Guard Ltd who are authorised and regulated by the Financial Conduct Authority.